I hope you are enjoying the last days of August. I cannot believe yet again how quickly the summer went. 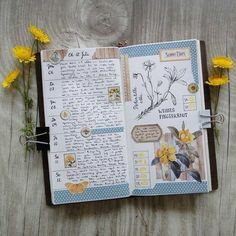 Dear Nancy, your journal is gorgeous, I love the added “splashes” of colors and the beautiful items you used . 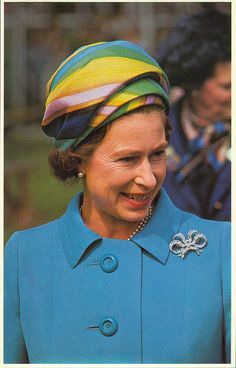 I have the magazine, and have so enjoyed seeing you there, with your beautiful art. Yes ,summer went far too fast , once more…… but for every year it is like it is , over , faster and faster !!!!! 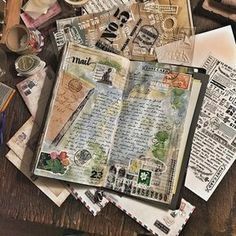 I love your journal here! Congratulations on having your work published again! You create such wonderful, and your collage work here on each page is lovely. The white clothe pins are a really sweet touch. Reading SS I discovered your work. Its all beautiful. You reached out to me because I suffered a heart problem in June. Totally out of the blue. After I got home from the hospital I found myself cleaning up my studio and discovering treasures I’d forgotten I had. From there I went to ‘decorating’ the inside of small box lids which I’m able to hang. I love it because it can be a very slow, low energy project which I can get lost in while I’m working on it. I’ve become a HUGE advocate of creativity as a healing process. Thank you for sharing your passion with us. Since I first 'found' you and your work, I've been a fan. When I see your creations, they truly inspire me. I hope you are now settling into your new space.